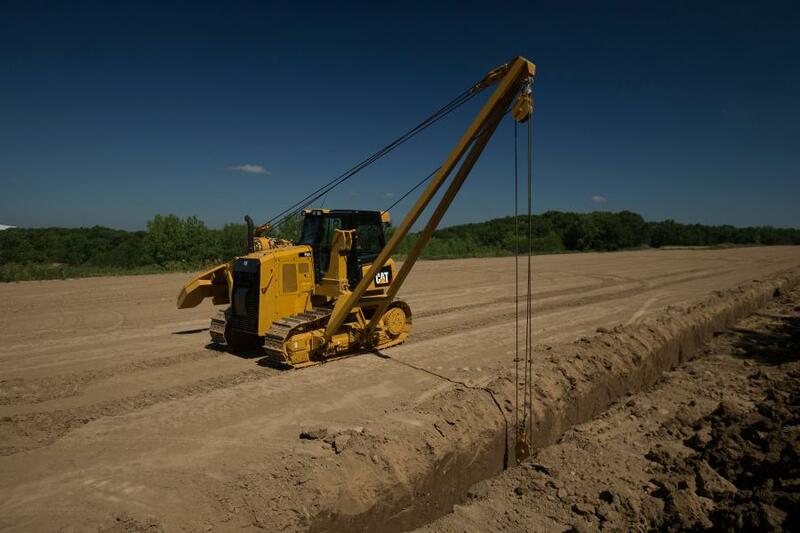 Part of a full line of purpose-built Cat pipe layers, the updated PL61 delivers 40,000 lb. (18,145 kg) of maximum load capacity. Part of a full line of purpose-built Cat pipe layers, the updated PL61 delivers 40,000 lb. (18,145 kg) of maximum load capacity. The new model retains its familiar comfort and easy maintenance features, with updates for added safety and performance. Easy 128-in. (324 cm) transport width, combined with the experienced support of the Cat dealer network, means your pipe line equipment is available when and where you need it, according to the manufacturer. The PL61 features an available rear vision camera with a dedicated display providing added visibility to the back of the machine. The load monitor indicator (LMI) also is available and is a mandatory attachment where required to meet regional regulations. In addition to comfort and ease of operation, the new PL61 offers faster steering response than its predecessor for enhanced maneuverability on the pipeline. A more robust fuel system stands up to lower quality fuel, and a cold weather package provides added features for cab comfort and more reliable engine starting/performance in cold weather environments, according to the manufacturer. Powered by a Cat diesel engine with ACERT Technology, the PL61 meets U.S. EPA Tier IV Final/EU Stage IV/Korea Tier 4 emissions standards with emissions reduction technology that is transparent to the operator. A configuration also is available to meet China Nonroad Stage III, India Bharat III, Eurasian Economic Union Stage IIIA, UN ECE R96 Stage IIIA emission standards, equivalent to Tier 3/Stage IIIA. Like all Cat machines, the PL61 is designed for fast, easy maintenance with ground level access to grouped service points. The purpose-built machine means your Cat dealer is your single source for parts and service on all components. The worldwide Cat dealer network understands the unique support required by pipeline job sites, especially in remote areas, according to the manufacturer. Cat Connect LINK technologies offer telematics to wirelessly connect users to their equipment, providing valuable insight into machine or fleet performance. Product Link is deeply integrated into machines, providing easy access to timely information, such as machine location, hours, fuel usage, idle time and event codes. Data is available via the online VisionLink user interface to assist in more effectively managing the fleet and reducing operating costs.